Leeds is situated in the middle of the United Kingdom and is the third largest and one of the fastest growing cities in the UK. It is the UK’s largest centre for business, legal and financial services outside of London. In addition to having a rich culture and a bustling night life, Leeds has also been named the best city in England to live in and also one of the top European destination by Lonely Planet. This city is renowned as a centre for arts, sports, leisure, entertainment and nightlife. It has everything you would expect from a major city and is also surrounded by beautiful, accessible countryside. Leeds therefore provides students with a balance between the hustle and bustle of a metropolitan city and the laidback charm of a quintessential English town. It’s a given – you will never get bored here. Help students from Singapore feel welcomed and at home in Leeds. 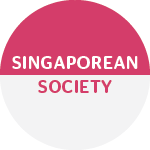 Create a friendly community of Singaporeans, through bonding and social events. Promote and share Singaporean culture and heritage, by organising cultural events. Provide more opportunities for interaction and collaboration with partner societies, both in Leeds and across the UK. All in all, we aim to be a pillar of support and to lend a helping hand to all students who have come to leeds. We regularly plan events in order for members to know each other better as well as to meet members of other societies – so do remember to check the events page for updates!